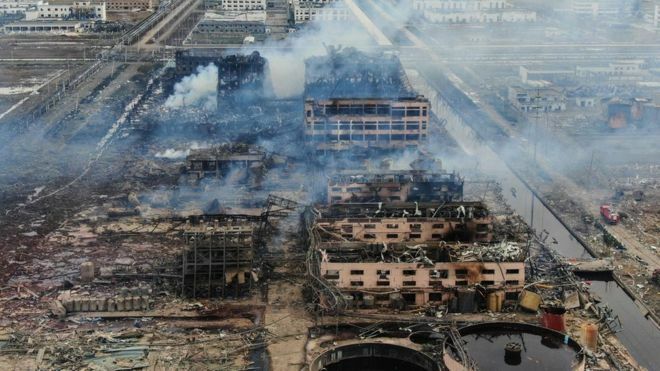 Rescuers in China have found a survivor two days after a massive blast at a chemical plant - one of the deadliest industrial accidents in recent years. The man, said to be in his forties, was pulled from the rubble on Saturday morning. But the death toll has risen again to 64, with more than two dozen others still missing. The explosion was so powerful it registered as an earthquake, causing a huge fire that reduced buildings in the area to blackened shells. 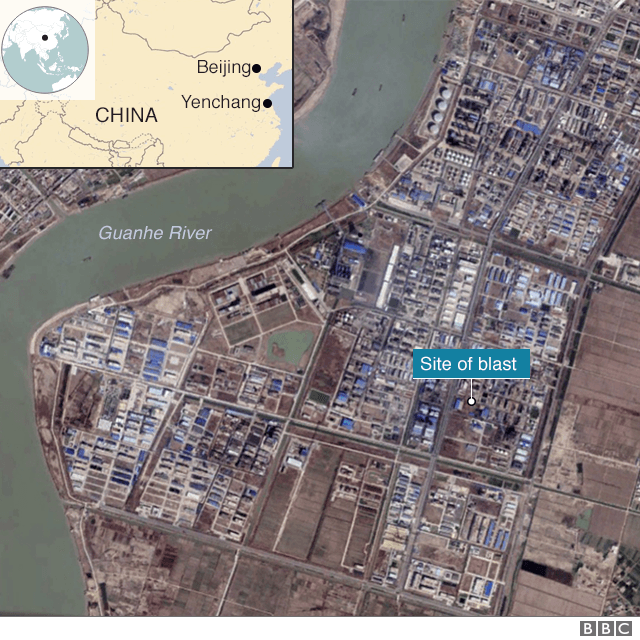 Thursday's blast happened at a plant in Yancheng, eastern China, run by Tianjiayi Chemical. One survivor told the South China Morning Post she saw shards of glass "falling like rain" and had returned home to find a family member crushed to death in their home. Firefighters had to be brought in from across the region and it took hours for the resulting blaze to be brought under control. Chinese state media put the latest death toll at 64, with another 94 people suffering severe injuries. A further 28 remain unaccounted for. The exact cause of the explosion is still under investigation. Tianjiayi Chemical, founded in 2007, has received six government penalties in the past for waste management breaches and air pollution, according to the South China Morning Post. Chinese President Xi Jinping has ordered local authorities to step up actions to stop similar incidents happening in the future.